An official Marshmallow CyanogenOS build for the OnePlus One is rolling out, but of course, it's staged. Unlike all those past updates, this one is a big deal; it's Android 6.0 Marshmallow. If you don't want to wait, there's a ZIP below for your sideloading pleasure. If you've been running CyanogenOS on your OnePlus One, this update is for you. It's not CyanogenMod. The ZIP file should be easy to sideload via recovery on your OPO—this is incremental, not a full image. In our testing, TWRP refused to acknowledge that the device was running the necessary build (YOG7DAS2K1). This can be fixed by flashing the stock recovery and using that instead. Good luck and enjoy. You would definitely assume that the people who made the phone would know the difference between Cyanogen OS and CyanogenMod, right? That is apparently not true. The OnePlus admin said this OTA is for CM13, but apparently she meant Cyanogen OS. 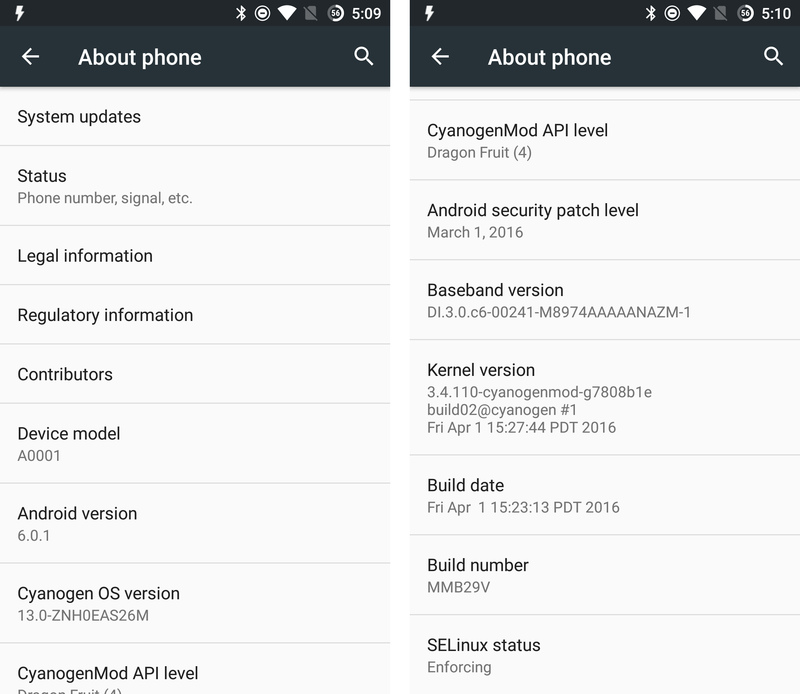 This is a Cyanogen OS Marshmallow update. Although, they did just link to the CM13 changelog, not a COS one. I suspect the original poster was misinformed about what exactly was being updated. We have updated the article to reflect this fact.